On January 10, 2019, within the trade session, Gazprom Export LLC successfully concluded the first gas sales deal on the balance-of-month basis at the Gaspool point. 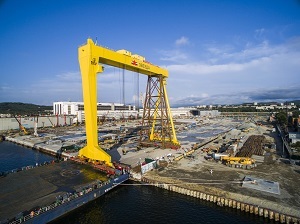 Sovcomflot (SCF Group) placed an order at Zvezda shipbuilding complex for construction of three new generation product carriers that use cleaner-burning LNG fuel as their primary fuel. 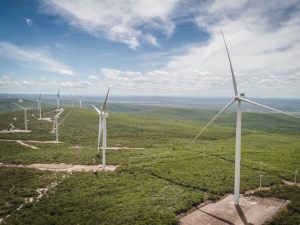 Enel, through its US renewable subsidiary Enel Green Power North America, Inc. (“EGPNA”), started construction of the around 450 MW High Lonesome wind farm in Upton and Crockett Counties, in Texas. 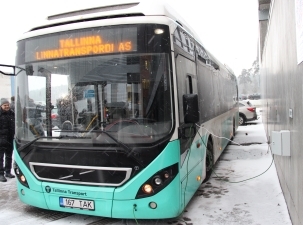 Eesti Energia and Tallinna Linnatranspordi AS have entered into a cooperation agreement aimed at developing a solution for more intelligent charging of electric buses and the testing of electric buses on up to two Tallinn bus routes. 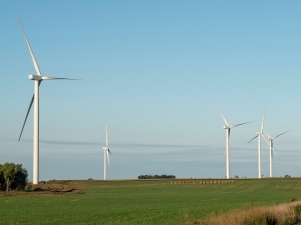 Enel, through its US renewable company Enel Green Power North America, Inc. (“EGPNA”), has started operations of the 320 MW Rattlesnake Creek wind farm, its first wind facility in the US state of Nebraska, and the Diamond Vista wind farm of around 300 MW in Kansas. 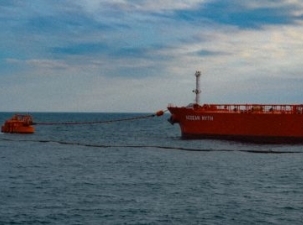 On December 28, 2018 the 60-millionth ton of oil since the beginning of 2018 was lifted at the CPC Marine Terminal. GE Renewable Energy announced today that it has been selected by ReNew Power, India's largest renewable energy Independent Power Producer (IPP), to provide 120 GE 2.5-132 turbines for the Gadhsisa Wind Farm in Gujarat, India. The International Bank for Economic Co-operation has provided JSC TENEX with the first tranche of EUR 30 mln for a period of 2 years, as part of the established loan facility. Within the closed session Gazprom Export LLC successfully concluded the first gas sales deal on day-ahead basis. 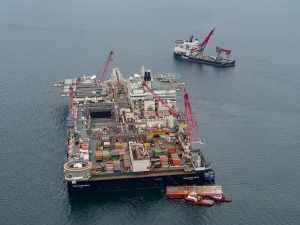 Dynamically positioned pipelay vessel Pioneering Spirit has joined Nord Stream 2’s construction fleet and started pipelay works in the Finnish Exclusive Economic Zone (EEZ) last night.